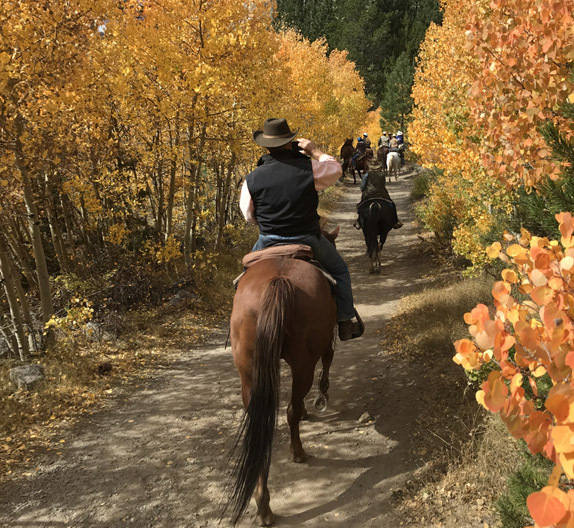 On this three day adventure, ride through aspen groves radiant with the orange, gold, and red of autumn in the Sierra, or choose to ride on the meadows. We offer spectacular day rides into the high country to see the fall color. By request, loping meadow rides and the opportunity to move cattle have been added. You will arrive Friday for dinner and depart Tuesday after breakfast. Rate includes meals, horseback riding, and lodging.